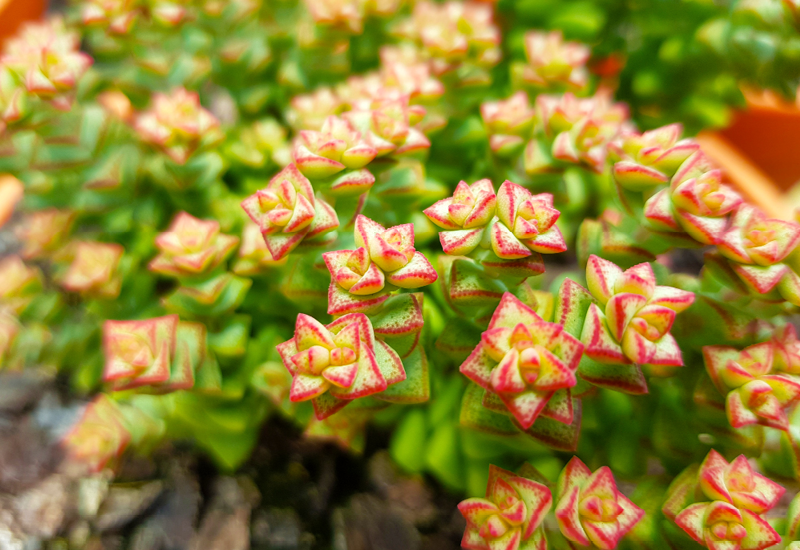 Crassula Tom Thumb is fast growing and features upright columns of small pale green triangular leaves, with red blush tips. It bring a lot to the table – colour, texture, interest, and a bit of height whilst not spreading outwards too much. It would look great planted by itself as a feature, or sharing a pot with other succulents.